Book & CD. Health care in the United States and around the world is heading for dramatic change, fuelled by demographic and socio-economic megatrends that are rapidly reshaping our attitudes, beliefs and policies. In this book, Dr Magee offers 76 essays examining the hidden stories and emerging trends behind some of our most pressing health care topics -- obesity, tobacco control, HIV testing, depression, violence, elder care, stem cell research, and much more. 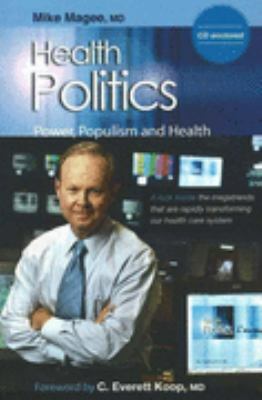 The essays are drawn from material previously published at HealthPolitics.com and organised by subject matter for ease of use.Magee, Mike is the author of 'Health Politics Power, Populism and Health' with ISBN 9781889793177 and ISBN 1889793175. Loading marketplace prices 19 copies from $0.97 How does the rental process work?